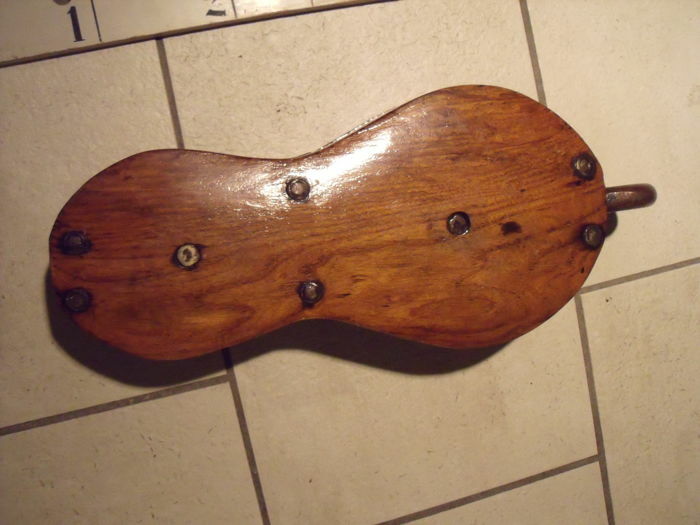 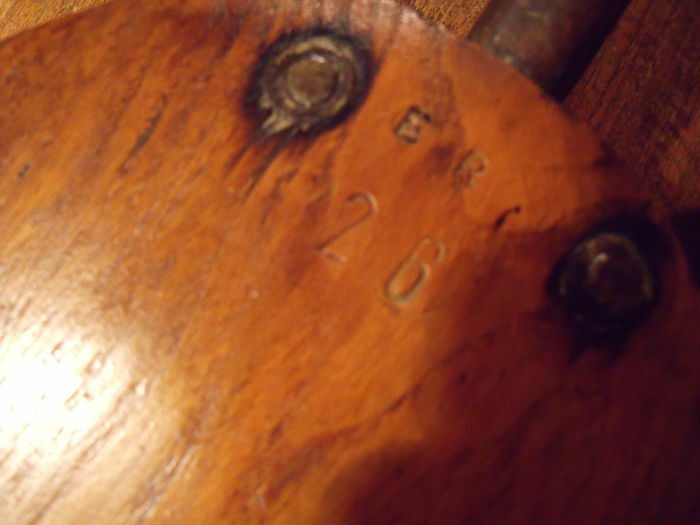 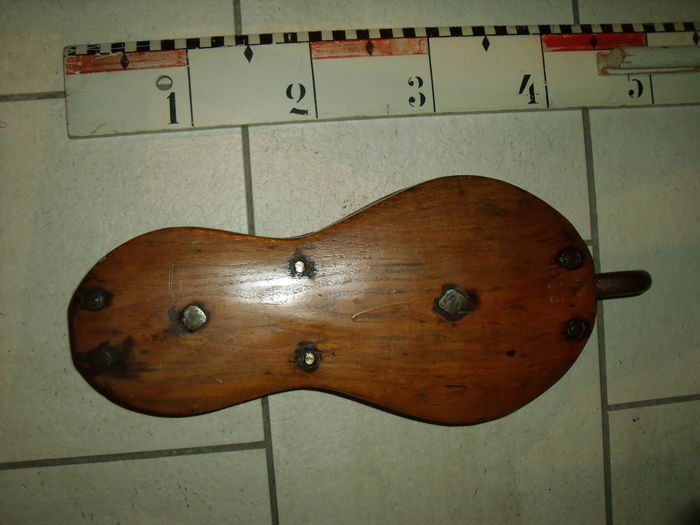 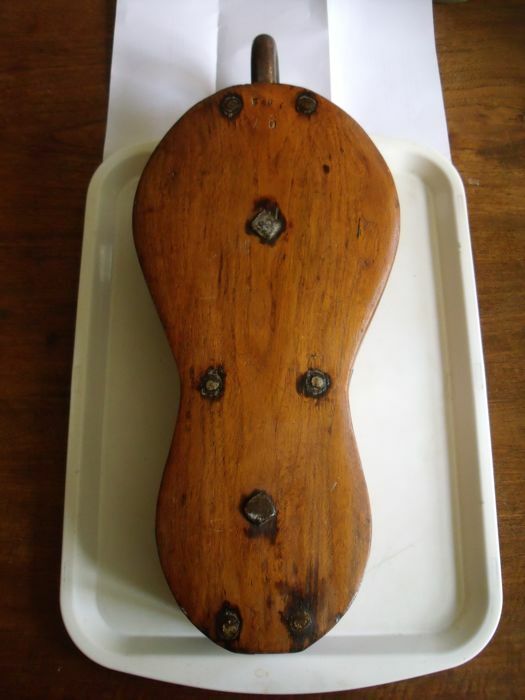 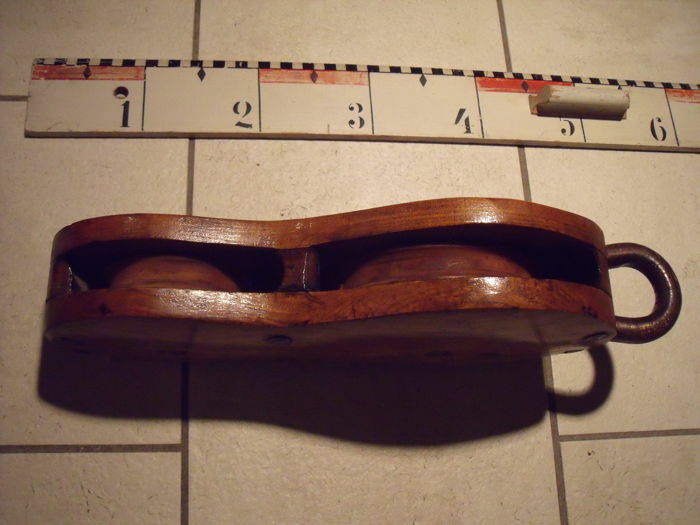 Block with 2 wooden wheels, well running, brand; inscription ER, 26. 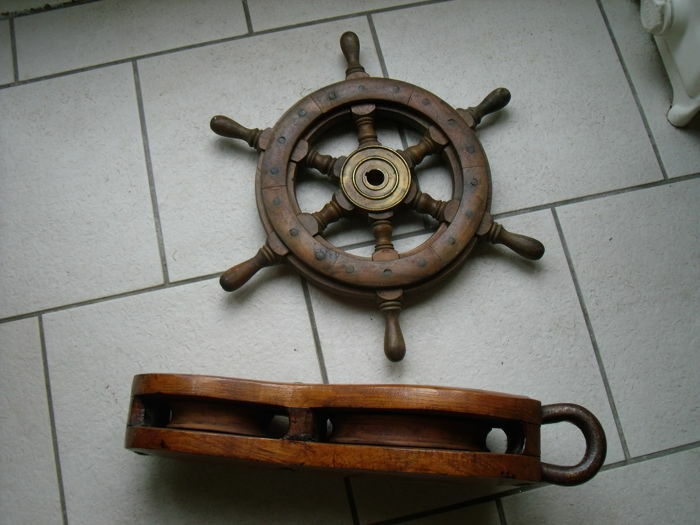 Think pulley is from 1926. 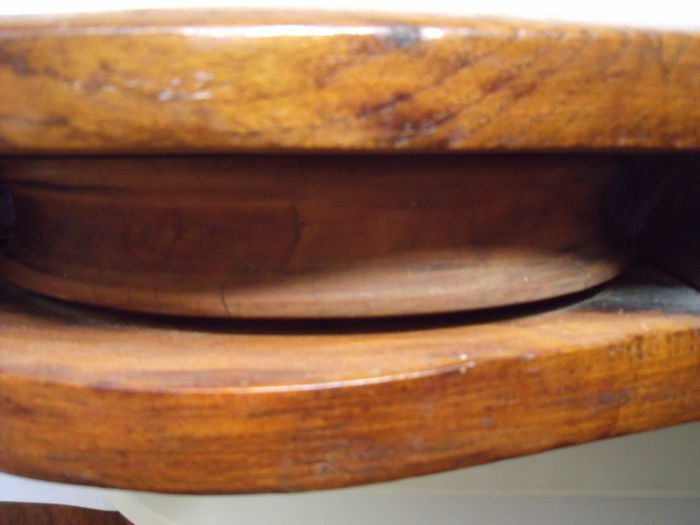 Wonderful copy in very good condition. 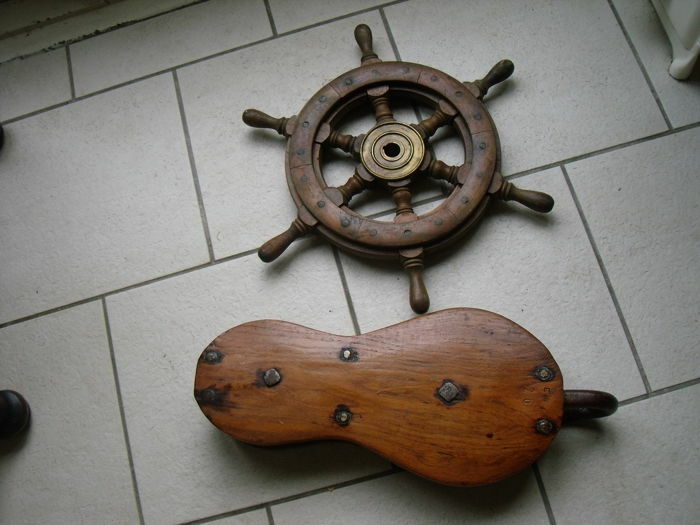 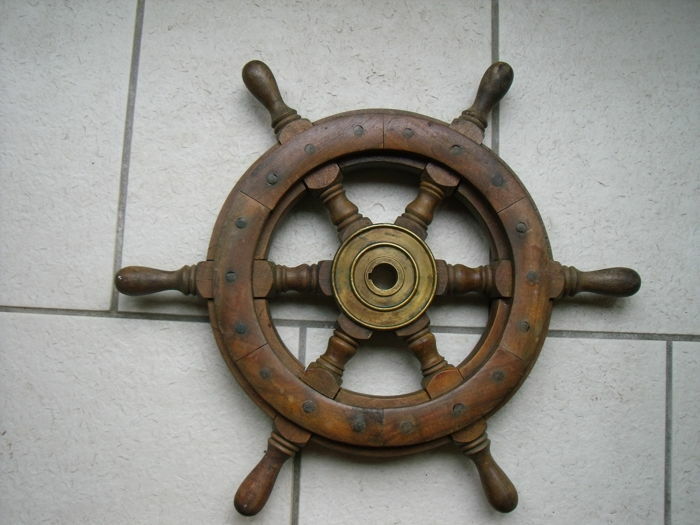 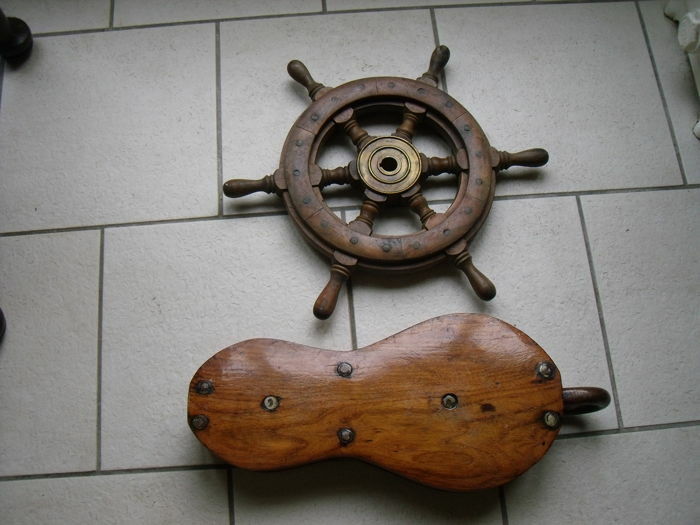 ship steering wheel hardwood with brass centre diameter 40 cm.